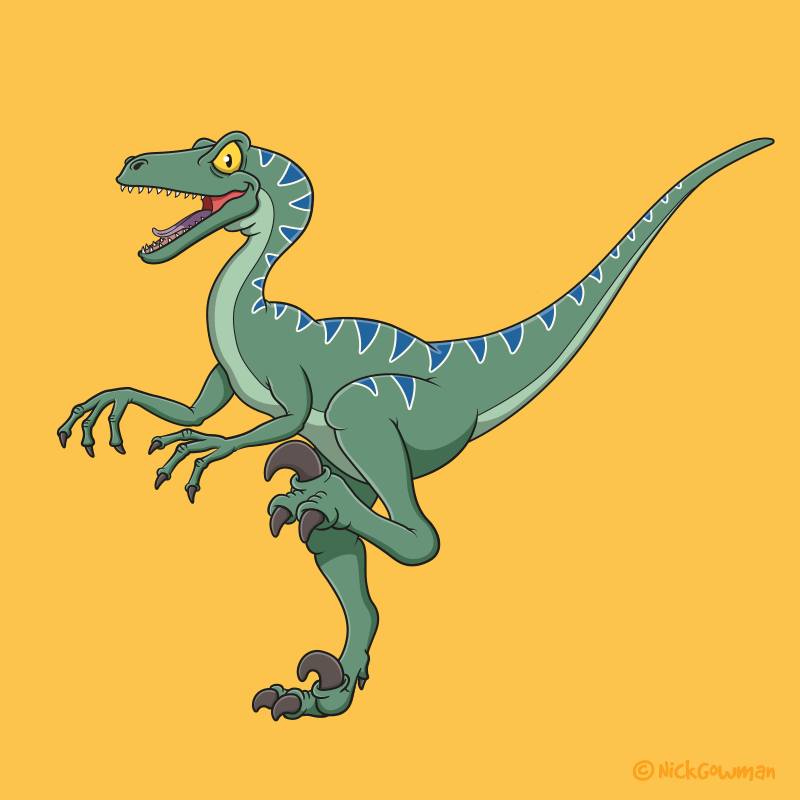 Cartoon Velociraptor | Ferocious prehistoric hunter with claws to match! A velociraptor was a small to medium-sized predator from the late Cretaceous period. Armed with a large retractable claw on the middle-toe, they hunted in packs to bring down prey much larger than themselves, rather like Hyenas or Jackals. Enough or them could even take down something as large as Triceratops. This cartoon velociraptor started life as a quirky pencil sketch, before being fully digitised. As they are a very active creature, I wanted to make sure my cartoon was leaping into action! I had a nice teal shade in my colour palette and coupled with some blue stripes he’s very akin to the ‘blue’ character from Jurassic World.